Admittedly we’d been wondering when to put up this article, as the sun appears to packed up and gone abroad for weeks now. But we’d never let you down. 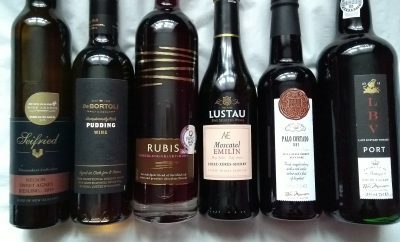 So here, later than planned, is our annual showcase of new and fave wines for what’s left of the summer months. 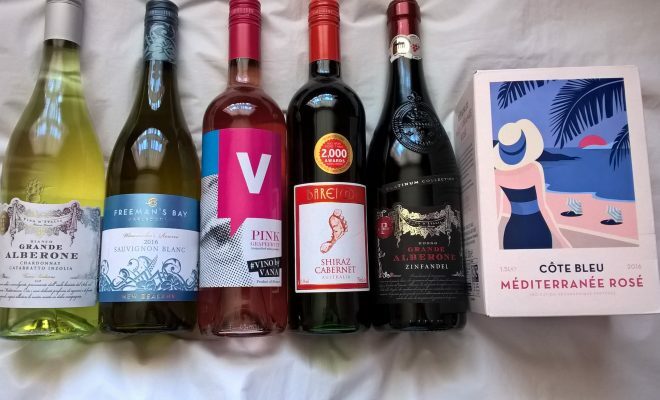 We’ve included more red varieties to cater for our readers that prefer a juicy, heavier glug. Vino D’Italia Grande Alberone – Italy, 13% abv. A light bodied wine full of typical peach and tropical fruit tones. Dry in nature, we recommend this wine be drunk alone to savour its delicate flavour. Available from Aldi – RRP £5.49. Freeman’s Bay Sauvignon Blanc, 13% abv. We return to this favourite whose nose is packed with distinctive gooseberry and tropical fruits. Lime and passion fruit dance on the palate, ending with a complex intensity. 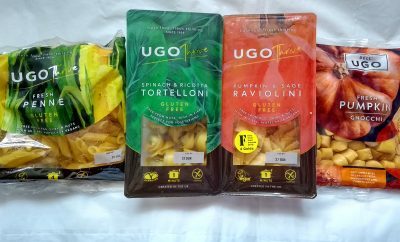 Available from Aldi – RRP £5.89. Vino by Vana Rosé 8% abv. From the Llanguedoc Roussillion vineyards in southern France comes this aromatised, dry rosé. From its pink colour to the citrussy, floral overtones in the bouquet and palate, creator Vana Koutsomitis has ensured this vino appeals to the ladies. Strictly to be enjoyed on its own. Available from Waitrose nationwide – RRP £6.99. In the glasses are: Waitrose Côte Bleu Méditerranée Rosé, and Belletti Prosecco. Barefoot Shiraz Cabernet 13.5% abv. 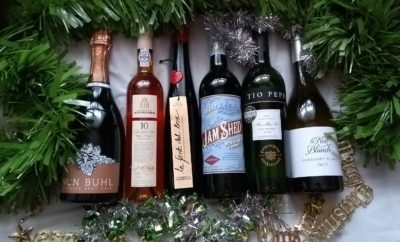 This ethically produced wine has won more than 2,000 awards worldwide. Combining vanilla and hot toast overtones in an easy drinking palate, it leaves a smooth, velvety finish. The plummy nose is versatile enough to accompany red meat at a barbeque, or to be savoured on its own. Available nationwide- RRP £6.99. Vino D’Italia Grande Alberone Zinfandel 2014 Italy, 15% abv. This heavyweight wine is full of juicy, spicy cherries that pack a punch on the palate. Available from Aldi – RRP £7.99. 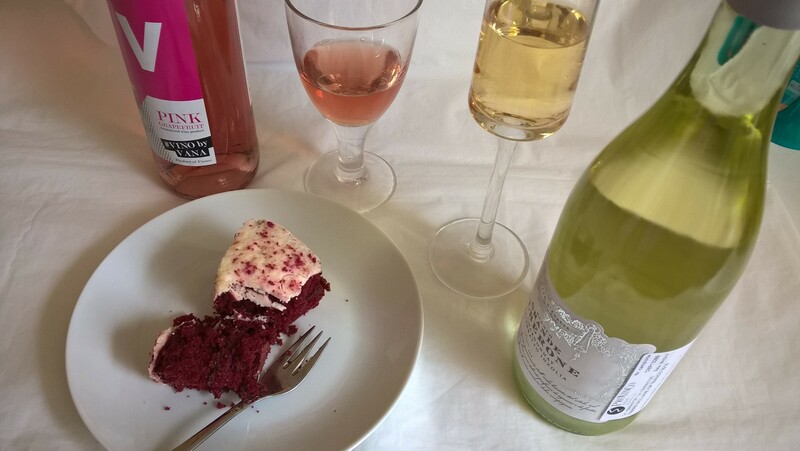 Our final two featured drinks come in magnum sized packaging, perfect for celebrations and gatherings. 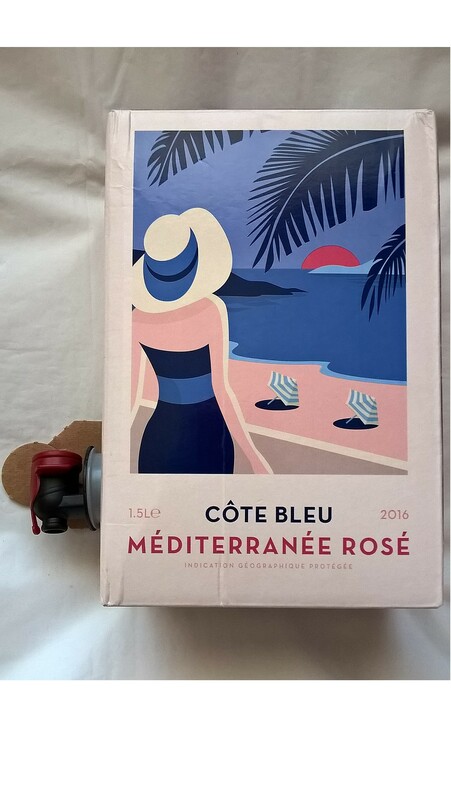 Côte Bleu Méditerranée Rosé 1.5l, 13% abv. Our only boxed wine of the bunch, this dry raspberry and strawberry infused wine will keep for up to three weeks in the fridge after opening. The wine is dispensed via an integrated tap (shown in the image) and instructions for operating this tap can be found on the box. Available from Waitrose nationwide- RRP £14.99. 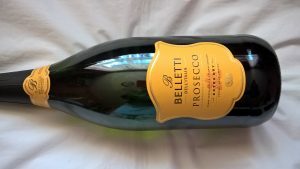 Belletti Prosecco DOC Magnum 1.5l, 11% abv. Light and refreshing with gentle bubbles, this all year round favourite is citrus infused, with a creamy texture on the tongue. Gentle, floral notes tickle the nose, bringing a smile to the drinker whatever the occasion. Available from Aldi for a sparkling £12.99. Please drink responsibly at all times.